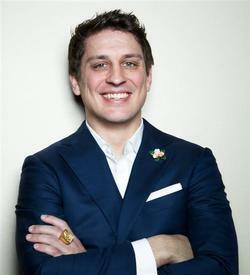 Enjoy the wisdom, energy and intelligence of Dr. Andrew Gardella today on The Erica Glessing Show! Access Consciousness facilitator, Dr. of Chiropractic and body genius, I've worked with bodies in some capacity my whole life. Since I can remember, I have been interested in and had a curiosity for the weird, wacky, strange and wonderful things that exist in this world. When I was little, I would crush various stones into powders and combine them into concoctions that I was convinced were magic chemical creations: part mad scientist, part shaman. Luckily, I didn’t blow up the house! Before Access Consciousness ™, I wrestled for 16 years. I was pretty good. I was a NCAA All-American in college. I was always looking for how to create changes with my body faster and with more ease. That evolved over the 16 years into not just seeking physical changes, but mental, emotional, and just in my life. After college, I went to chiropractic school seeking to deliver on and tap into this sense I had of what was possible with changing both my body and life and others. Yet, in chiropractic school, I found that others didn’t have that same sense, and weren’t even curious in exploring other possibilities. ​ Every technique or modality I studied thereafter seemed to contain its blend of “no that isn’t possible”. I was just so fed up with it all—and with all the stuff I was listening to in school that felt incorrect—I gave up reading about different techniques. I gave up studying. I went into autopilot. I was tired and frustrated. I losing my sense of fun and curiosity that I had always had. I started to think I was going crazy. So I did this crazy thing… I asked a question, ""Is there anything out there actually interested in more?"" A short time later, I heard about Access. It acknowledged the curiosity and the seeking for more, I functioned from. It gave me “access” to me again and the sense of play and possibilities I so enjoy. And I got a completely different sense of myself too. After attending Access classes and playing with the tools, I realized how differently I have always seen the world and how valuable that is. And that I was not wrong for any of it. So what do you know? Are you interested in more? Wanna play? Each day in September, the focus of The Erica Glessing Show is on changing to ease and glory with facilitators of consciousness, including nearly the entire team from the Right Riches for You! Beyond 8 minutes of daily inspiration, Fresh Fridays are for introducing new talent!